Friday | January 13, 2017	The start of Spring welcomes a brand new flavour – Red Velvet Cake. This trendy and hugely popular flavour is now available at all Bakerzin outlets! 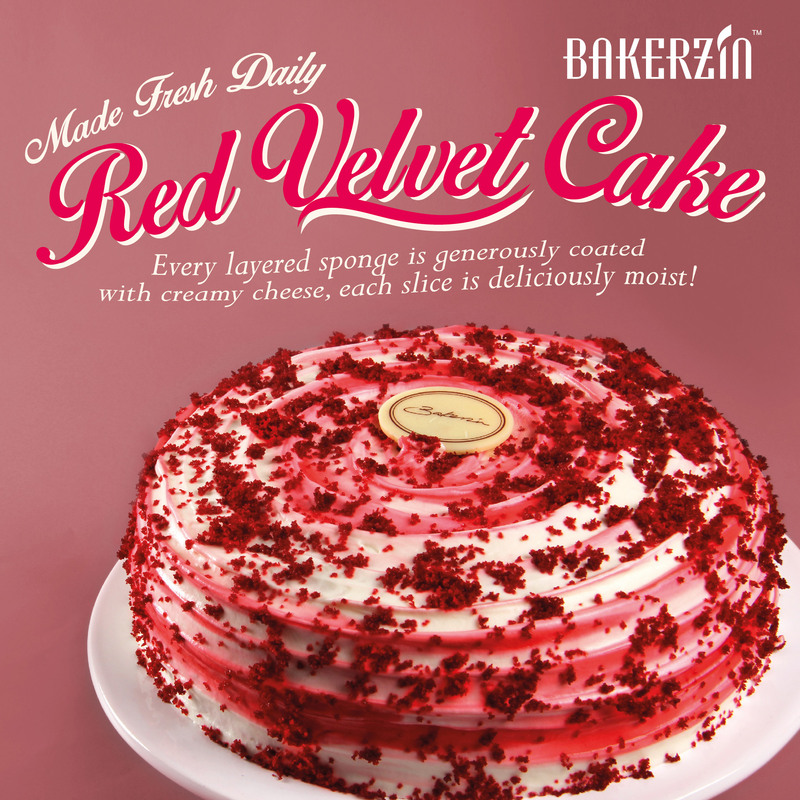 Made using premium butter and flour, the red velvet sponge is soft and moist, lined with rich and flavorful cream cheese, then dressed with red sprinkles, this is a perfect cake to start off a brand new year. This cake is an absolute choice for birthdays, festive occasions and a self-indulgence at home if you truly want to binge. Now available in Size 6 and Size 7!